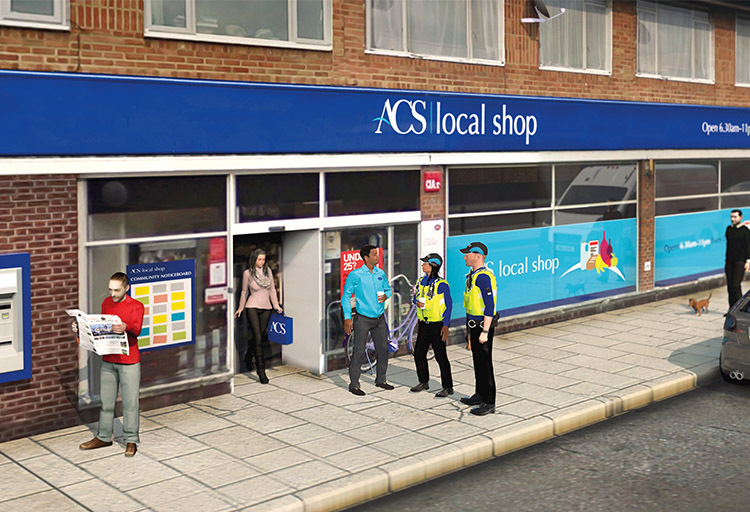 The ACS Crime Seminar is an exclusive and insightful day split into three sessions on tackling violence, protecting cash in-store and sharing best practice. The sessions are designed to provide practical approaches to managing crime in your business. The event will also feature the launch of ACS’ 2019 Crime Report. Patrick became the operational lead for the NBCC in December 2018 and aims to embed a focus on business crime in policing, targeting the issues that affect businesses so allowing them to prosper and help the communities they serve. Dr. Laura Garius is a Lecturer in Criminology and a member of the Quantitative and Spatial Criminology group at Nottingham Trent University. Laura has conducted collaborative research with Nottinghamshire Police, Nottingham Crime and Drugs Partnership, Drinkaware, and Victim Support. Her doctorate examined trends in night-time economy violence and modelled the risk of violent victimisation and assault severity. As part of the Innovate UK/ESRC-funded Nottingham Shop Theft Project, Laura examined local and national shop theft trends and conducted interviews with prolific shop theft offenders in order to identify key drivers and facilitators of shoplifting. Laura is currently researching barriers to victim/witness engagement with police. Dr. James Hunter is Principal Lecturer in Public Policy and a member of the Quantitative and Spatial Criminology Research Group at Nottingham Trent University. James’s research interests concern the geography of social problems with particular reference to crime victimisation, as well as issues around the equity of the crime drop across household and area types. He recently lead the Innovate UK/ESRC funded Nottingham Shop Theft Project which developed new approaches to measuring and mapping shop theft risk at the neighbourhood level. He has also recently developed a community engagement area classification for police forces at the neighbourhood level across the England as part of the East Midlands Policing and Academic Collaboration (EMPAC) which features in the College of Policing's new Neighbourhood Policing Guidelines. Drew Bannerman’s career has predominantly been based within the ATM industry with over 15 years’ experience working in the business sector. As previous Head of Corporate Accounts at YourCash, an independent ATM deployer based in the UK with an ATM estate of circa 4000 ATMs, Drew looked after a number of high profile convenience retailers, petrol forecourt providers, and catering clients. Having previously worked at Cardtronics and Cennox, Drew has recently joined Crane Payment Innovations and is the UK and Ireland Sales Manager responsible for the Paypod products. The role requires working closely with retailers, helping to streamline their day to day processes through automation of cash handling within their business, and helping to secure their cash, minimizing shrinking at the point of sale. Mark Dinsdale is the Physical Security Manager at Post Office Ltd with 25 years in this arena. Mark currently works on security policies, standards, formats, risk modelling, and analysis. He also identifies new technologies in the marketplace to keep people safe from crime, for example fogging as a robbery deterrent. He has studied with both Portsmouth and Leicester University gaining a BSc and MSc in Security & Risk, “which surprisingly enough does come in handy”. Nicole Vazquez has over 25 years experience in providing practical support to organisations to reduce the level of violence, aggression and personal safety risks for their employees. She has developed countless training programmes including a national programme on managing conflict for front line staff in the Rail Industry that is seen as the industry standard. Her advice is valued in the UK and beyond, across sectors including retail, rail, housing and government departments for its pragmatic, straightforward approach and measurable results. Nicole has a particular interest in Lone Working and specifically how this can affect safety and wellbeing. She recently took over hosting the annual Lone Worker Safety Expo Conference, an event that brings together experts who share their knowledge on ways to keep people safe and secure when working without the support and back up of colleagues. Joe Rutlidge is employed by Tesco as the Lead Regional Security Manager for Onestop. A Convenience Retailer with 777 stores and over 12,000 colleagues, Joe is accountable for Security throughout the UK and predominantly responsible for protecting the companies’ people, property and profits. Joe has previously volunteered for the Police as a Special Constable in Lancashire and did so whilst studying Public Services, Criminal Law and Civil Law. He has previously held the role of Loss Prevention Investigator and Loss Prevention & Security Manager at E.H Booths & Co. Since 2017 he has been an elected member of the Security Institute (MSyl) and recently has been appointed the Vice Chairman for the North East Retail Crime Partnership. Katie joined ACS is March 2016, having achieved a first class degree in Psychology from the University of Kent. As Research Manager, Katie is responsible for the research programme at ACS and has analysed all of the primary data in this year's report. Eleanor joined ACS in September 2018 after working in the charity sector and graduating with a degree in Politics and International Relations from the University of Exeter. Eleanor is responsible for assisting the public affairs team with monitoring policy developments, writing policy briefings and responding to policy consultations. Jayne Crowe is currently the Physical Security and Investigations Manager at the Co-op supporting all areas of the business for the last two years, having previously worked in various field based roles. Jayne has witnessed and supported many colleagues during and after incidents of robbery, burglary, anti-social behaviour and shoplifting and has carried out many Investigations following these incidents. Jayne understands what affect this has on not only colleagues, family and friends and the wider community, and has over 30 years working in the Retail trade- 25 linked to security. We are on a journey using ever improving technology making colleagues feel safer and improving communications with our communities. Jenny Alleyne is Head of Retail Risk Health and Safety at Coop and has worked in a variety of roles across Coop for a number of years. Having come through the business Jenny remains grounded and understands the changing landscape of crime ,passionately champions the impact of crime on colleagues who work in stores as they are often the forgotten victim of retail crime. Benefitting from over 20 years’ experience working within Retail Operations acquiring expert knowledge in strategic and operational risk management supported with capability to develop plans to facilitate and lead and embed effective change. Jenny sees technology solutions and AI as the key to unlocking change in the retail crime landscape blended with collaboration across retailers. Terence has worked in the ATM industry for over a decade; previously focused on the safe and secure replenishment of ATM’s, working as the Business Risk Manager at a major UK CIT business and more recently securing ATM’s end to end with Cardtronics, since 2014. A First Class Degree with Honours in Applied Criminology and nine years frontline Police Service experience with West Yorkshire Police have given Terence a great blend of theoretical and practical real world expertise that is now being applied to the Cash and Payments Industry, both in the UK and Globally. Mark has led on a number of key areas including Acquisitive Crime, Mental Health, Criminal Justice Solutions, Violent Crime and marginal gains theory to improve police performance and confidence. Most recently Mark is the Sub Divisional Commander for BTP Western, is working with Detective Superintendent Tor Garnett on Take:90, the response to Violent Crime in the UK, leading Nationally on tackling cycle crime and pretty much all types of crime and safeguarding on the railway in the South West of England. Jayne King joined the National Health Service (NHS) in 1991 and is currently Head of Security and Site Services.She has been at Guys and St Thomas’ NHS Foundation Trust since 2001and the Trust constantly scores well in the staff survey as being responsive to dealing with Violence and Abuse. One of Jayne’s key priorities is the building of partnership links and community working within the security setting. She is currently a member of the South Bank Business Watch, the London Bridge Security Forum and represents NAHS on the Security Commonwealth. She is Chair of the National Association Healthcare Security (NAHS), a qualified Local Security Management Specialist (LSMS) and a Fellow of the Security Institute (FSyI). Prior to her NHS career Jayne spent 9 years in the Royal Air Force assigned to both National and North Atlantic Treaty Organisation (NATO) Forces.